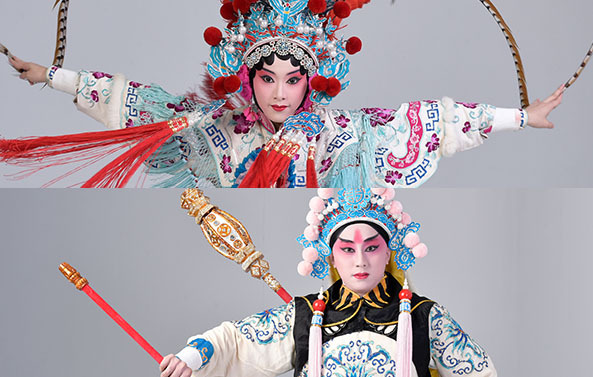 Originating in Henan, China, Bangzi Opera presents the characteristics of the sincerity, passion and boldness of Northern China. It is suffused with the forthright, bold, and unconstrained spirit of Northern China. 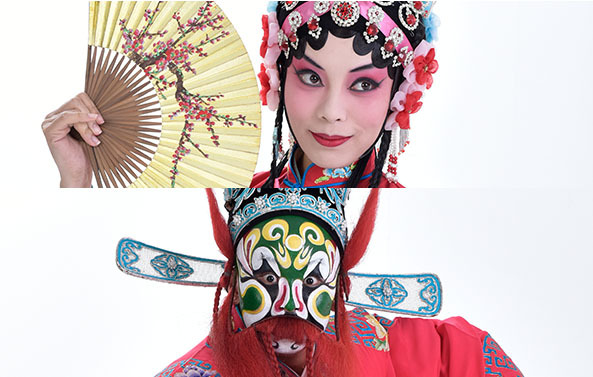 The Taiwan Bangzi Opera Company was established in Zuoying, Kaohsiung over sixty years ago. 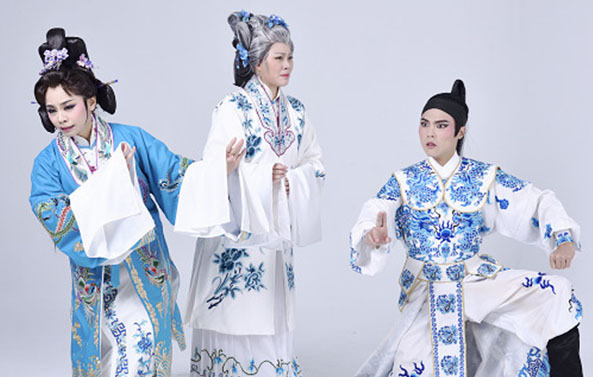 Led by WANG Hai-ling, the Empress of Taiwan Bangzi Opera, and the fresh blooms of the younger generation of performers, the Company constantly strives forward in the creation of new works, blending in local arts and culture and synthesizing a uniquely Taiwanese form of Bangzi Opera. Every year, the Taiwan Bangzi Opera Company mounts a new production, bringing elite artists of the modern theater together in interdisciplinary and intercultural collaboration. The Company also vigorously pursues its educational mission, promoting Bangzi Opera at home and abroad to wide acclaim. After Scholar LI LIANGUEI’s house was searched and family property was confiscated, he asked HUANG ZHANG who was his future father-in-law for help. But HUANG broke off LI’s engagement with his daughter instead. LI was forced to make a living by selling water. GUEI YING, HUNAG’s daughter, was not willing to end the engagement, and in order to bring the two together, CHUN HONG, GUEI YING 's maid, came up with a plan. She urged the lady to view the flowers in the garden and wanted the two to meet unexpectedly so that they can clear up misunderstandings between each other. To buy time, waiting for LI to come CHUN HONG named all the flowers that bloom throughout the year from the first month to the last month one after another, which truly pleases the distressed lady. Born in 1986, SUN Zi-jun graduated from National Taiwan College of Performing Arts, focusing on QingYi (young or mid-aged female character type) and HuaDan (vivacious maiden character type), as well as flowing sleeves and the octagonal swirl cloth. She is a disciple of WANG Hai-ling and currently a Dan actor of Taiwan Bangzi Opera Company. With a sweet yet pert look, Zi-jun has a clear and enchanting voice which has earned her the nickname of “HuaDan with Charming Pupils.” Her most representative performances include: Ko Zhun Carrying A Boot (in which she plays Princess CAI), The Romance of the Embroidered Sachet - Bearing the Sedan, (in which she plays ZHOU GUI LAN), Luoyang Bridge (in which she plays YE-LU HAN-YAN), and Empress Wu Casts the Golden Slip (in which she plays Princess TAI PING). In recent years, she has learned to master the skill of walking in stilted shoes to increase her charm on stage. Also, in hosting promotional activities she attracts the audience’s attention by talking kindly and clearly. When Emperor TaiZong of Tang dynasty assumes the throne, he promotes CHENG YAO JIN as the Duke of Lu Kingdom. One day when CHENG was on an excursion, he catched sight of WANG LIAN LIAN who is picking mulberry leaves and was stunned by her beauty. Urged on by MA HU, a vicious man and his subordinate, he wanted to take WANG LIAN LIAN as his concubine by force. WANG resisted and tried to kill herself by jumping into the river. Fortunately, she is rescued by WANG YUE YING who was CHENG’s wife. Turning CHENG’s trick against him, WANG YUE YING took WANG LIAN LIAN’s place to be carried to the wedding in the bridal sedan. Finally, when CHENG entered the bridal chamber, YUE YING discovered the whole truth and was enraged. She pulls out a two-headed hammer to beat her husband, who ended up screaming in pain and begging for mercy. 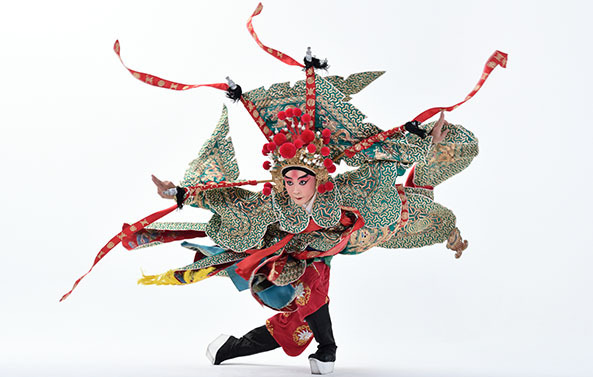 ZHANG Yu-mao graduated from the Department of Peking Opera of National Taiwan College of Performing Arts, focusing on Wujing (painted-face, male and martial role). At school, he was learned from ZHANG Fu-chun, LU Yu-lun and WU Ren-jie, etc. ZHANG has joined the troupe since 2012 and paticipated in many works such as The Empress with Big Feet (in which he plays MA GAO CAI), Fighters of the Three Kingdoms (in which he plays CAO CAO), and A Pair of Silver Spears (in which he plays LUO HUAN). 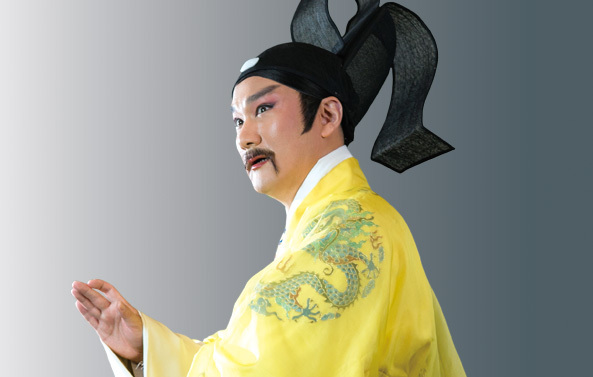 In 2015, he went to Zhengzhou in Henan to learn to perform the famous scene of Jing (painted-face role), Judge Bao’s Killing of His Brother, from Master CHEN An-fu, a famous actor of Bangzi Opera. In 2017, he first took on the leading role of CHENG YAO JIN in WANG YUE YING Beating CHENG YAO JIN, a classic Bangzi opera, under the instruction of YIN Qing-qun, a winner of the Cultural Heritage Arts Award. He specializes in both Jing and Chou (clown character) and is a new talent with unlimited potential in Taiwan Bangzi Opera Company. Today the number of：80人 / The total number of visitors：131,042人 / Last Updated：2019/04/19.